The ruling by Sierra Leone’s High Court on the election petition cases for both constituencies 05 and 15, has raised fundamental questions on the application of the law. The outcome of this court ruling appears to have undermined or conflicted with the legitimate will of the people – exercising their right to political representation in the House of Parliament. 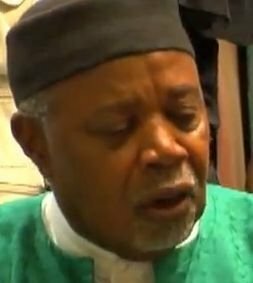 And as the National Secretary General of the SLPP – Sulaiman Banja Tejan Sie confirmed to me on the phone, whilst the learned Justice Showers had dismissed the petitions against the two SLPP candidates – Ansu Lansana of Constituency 05 and Captain Hafiju Kanja of Constituency 15 respectively, brought forward by both Hon. Macarthy and Dr B.M. Kamada, the learned Judge then went on to order the National Electoral Commission to nullify all votes cast in favour of both Ansu Lansana and Captain Hafiju Kanja in the parliamentary elections because of a breach of a court injunction. Hurriedly as always, the Chairperson of the National Election Commission – Christiana Thorpe wasted no time in announcing what she regarded as the valid results for both parliamentary elections. She pronounced the two APC candidates – Leonard S. Fofanah of Constituency 015 in Kenema and Regina Marrah of Constituency 05 in Kailahun winners of the elections, despite losing the votes. Sierra Leone’s democracy has been undermined. As I understand it, this is the first time in our legal history that a judgement has not only nullified votes cast by constituents in determining their political representation, but also instructed the National Electoral Commissioner to announce the “valid votes” rather than ordering a re-run of the elections. And this decision means that two less popular candidates defeated by very wide margins, have been declared winners in the parliamentary elections – a shocking development indeed for Sierra Leone’s democracy. In my opinion, the judgement in this case went beyond one of the fundamental functions of the court in settling disputes between and amongst individuals; instead it effectively created the opportunity for two parliamentary candidates who have been overwhelmingly rejected by their own people to represent their interests as Members of Parliaments. In her ruling, I learnt that the Learned Judge among other things had earlier granted an injunction restraining both Ansu Lansana and Captain Hafiju Kanja from putting themselves forward as candidates in their respective elections, as well as the National Electoral Commission from putting the names of the two SLPP candidates forward and, or accepting them as SLPP candidates in the elections. In my opinion, the crucial issue here is that the conduct of parliamentary elections in Sierra Leone is the responsibility of NEC as provided for by the laws of Sierra Leone. As such, after the injunction was granted by the court, NEC had a duty to the people of both constituencies 05 and 15, to remove or not to include the names of the SLPP candidates from the ballot papers, irrespective of whether the two candidates have put themselves forward as candidates of the SLPP. If NEC had removed or not included the names of the candidates on the ballot papers on election day, even if they had put themselves forward as candidates, it would have been irrelevant. Therefore, by NEC staff issuing ballot papers which included the names of the SLPP candidates to voters, there was a legitimate expectation from the voters that their votes will be counted – irrespective of their choice. As such, the fact that the National Electoral Commission failed in its responsibility, is not a valid and legitimate reason to disenfranchise the majority of voters in their respective constituencies and to deprive them of their legitimate choice. In a similar case, in the recent election petition at the Ghana Supreme Court, one of the issues raised by the petitioners was for the Supreme Court to annul votes in 1,638 polling stations because the electoral presiding officers had not signed pink sheets (statement of poll and declaration of results forms for the office of president) as required by Article 49(3) of the Ghana Constitution. In his judgement which formed part of the 588-page composite judgement, Supreme Court judge – Mr Justice Paul Baffoe-Bonnie, states: “To disenfranchise hundreds of thousands of voters (through no fault of theirs) because a presiding officer fails to sign, will not have a place in modern democratic governance”. So if a Supreme Court in Ghana could not disenfranchise voters because of the negligence of a presiding officer, why should our court disenfranchise voters because of the negligence of the National Electoral Commission, which I learnt NEC argued was due to administrative lapses? As an international best practice and in many election petition cases in other jurisdictions, where the courts have ordered for an annulment or nullification of votes cast which would adversely affect the outcome of the elections, the court always order a re-run of the elections. In fact very recently, the Maldives Supreme Court annulled results from the first round of voting in presidential elections, and ordered fresh elections. And the fact that the petition against the SLPP candidates did not have any merit, it would have been reasonable to expect the court to order a re-run of the two parliamentary elections, so that the people can have another chance to choose their legitimate representative – free of any election petition hanging over their heads. But to have the APC-declared candidate, Leonard S. Fofana who secured 5,454 votes and NOT Chief Hafiju Kanja who polled over 9,000 votes to represent constituency 015, is gross travesty of justice. Likewise, to have the APC-declared candidate, Regina Marrah, who secured 1,342 votes and NOT Ansu Lansana who polled over 11,000 votes to represent constituency 05, tantamounts to “electoral genocide” against the majority of voters in that constituency. As I write, I have been informed that the SLPP has appealed the high court judgement and I was told that the National Executive Council will be meeting shortly to consider other options. But the National Chairman – Chief Kapen, other executive members, the Members of Parliament and the General membership should be in no doubt that we all have both moral and political obligation to the thousands of voters in constituencies 05 and 15, who have been disenfranchised, to ensure that in the exercise of their political rights to elect their legitimate representative, their votes MATTER and their votes should COUNT. (Photo: Chief Kapen). 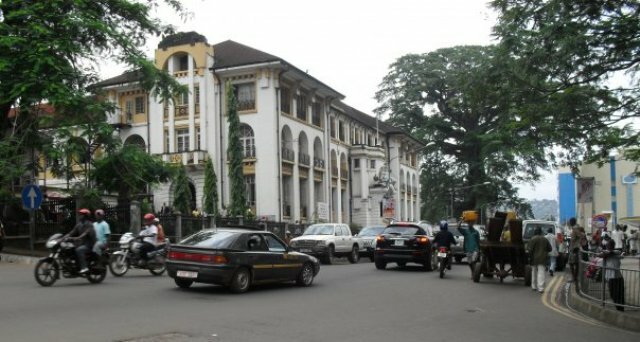 And to many decent Sierra Leoneans who believe in political fairness, a sense of justice and legitimate political representation, it is a scandal on our democracy to allow a situation where people are chosen to represent their constituencies by default – against the will of the overwhelming majority of the people in the constituencies whom they want to represent. Finally, just couple of weeks ago, an APC member of parliament claimed that as an opposition, “SLPP is on Vacation”. For far too long the APC has taken the SLPP for granted. 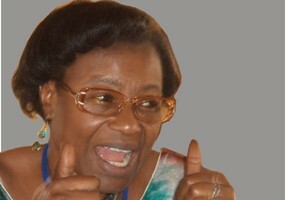 And now, whether it is at the recent election, at the All Political Party Women’s Association convention in Kenema where the APC machinations deprived the Women’s Leader of the SLPP – Mrs Lulu Sheriff, to lead the organisation; the recent amendment of section 79 which has been universally condemned by civil society organisations or the present high court ruling disenfranchising thousands of voters to elect their parliamentary representation, these should just be the hints of what is or are yet to come. And if what the APC Member of Parliament said about the “SLPP being on vacation” is a representative view of the APC MPs, then the SLPP must start by having a very effective minority leader in Parliament. This also calls for our “diplomatic” National Chairman to make use of his skills in “tough diplomacy”, as these are challenging times and the SLPP must batten down the hatches. “It is also my opinion that in an Election Petition, it is not just about the rights and duties of the parties to the dispute, but the will or interest of the electorate must be considered”. In legal circles, it is common knowledge that election petitions are “sui generis” which means special, or, put in another expression, proceedings of its own kind or class – unique or peculiar. Therefore, in many jurisdictions, the judges have a difficult task in considering both the application of the law and will of the people in making their judgements.